(TRR) – A new trailer for upcoming Ted Bundy biopic has arrived. The film Extremely Wicked, Shockingly Evil and Vile stars Zac Efron as infamous serial killer Ted Bundy. The film premiered at the Sundance Film Festival on January 26. The project was first revealed back in 2017 at the Cannes Film Festival. It is distributed by Voltage Pictures and comes to Netflix on May 3. Stream the new clip below. The flick features Metallica frontman James Hetfield. Hetfield plays the role of Bob Hayward, a Utah highway patrolman who first arrested Bundy in 1975. 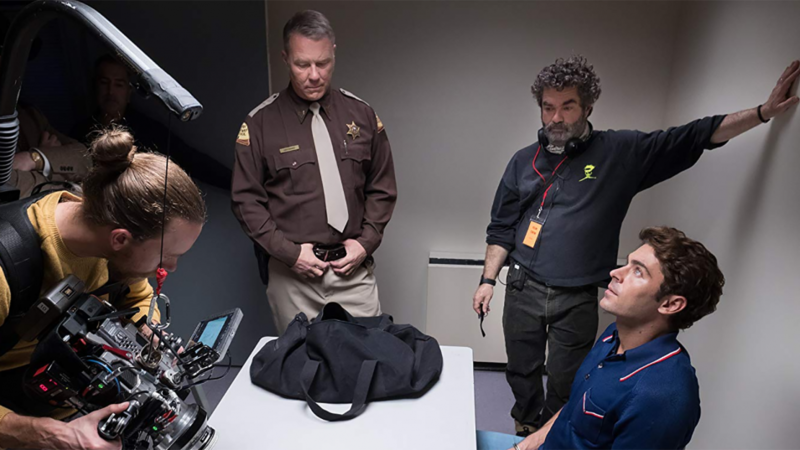 In addition to scenes with star Zac Efron, Hetfield also shares screen time with Haley Joel Osment (The Sixth Sense, Secondhand Lions) who plays a fellow officer. Academy Award®-nominated filmmaker Joe Berlinger cast Hetfield after having worked with Metallica on the band’s 2004 documentary Some Kind of Monster. The film chronicles the crimes of Ted Bundy from the perspective of his longtime girlfiend Elizabeth “Liz” Kloepfer. For years, she refused to believe that any of the heinous accusations against her lover Bundy. The movie also features Lily Collins, Kaya Scodelario, Jeffrey Donovan (Burn Notice), Angela Sarafyan (The Promise, Westworld), Dylan Baker (Kings, Damages), Brian Geraghty, Terry Kinney, Grace Victoria Cox, Jim Parsons (The Big Bang Theory) and Emmy Award winner John Malkovich (Burn After Reading, RED, Bird Box). Tagged James Hetfield, Metallica, netflix.